Currently, the city has shortage of around 100 MW daily, which is only less than 5% of its total requirement, says P Manivannan, MD of BESCOM . The shortage for entire BESCOM area is upto 600 MW. Manivannan says, "The shortage cannot be quantified, but varies from 0-600 MW through the day depending on wind and other sources. We are able to handle it, and are not contemplating any load shedding for the city." Bangalore’s daily power demand is about 2300 MW (Mega Watt). That is, 2300 MW of power is transmitted throughout the day to the city on average (there are sharp differences in peak and non-peak hour consumption though). 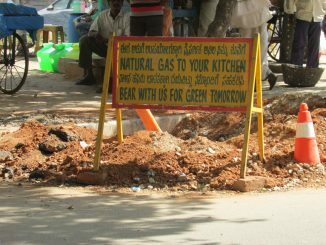 Bangalore consumes about one-third of the state’s total power. Karnataka’s average demand is 6000 MW per day. Six candidates interact with residents of BTM layout and Madiwala, but citizens allow little room to gauge the thinking of these Corporator-aspirants. It’s time for property tax payments for 2010-11. Step by Step guide to pay at the centres or online.